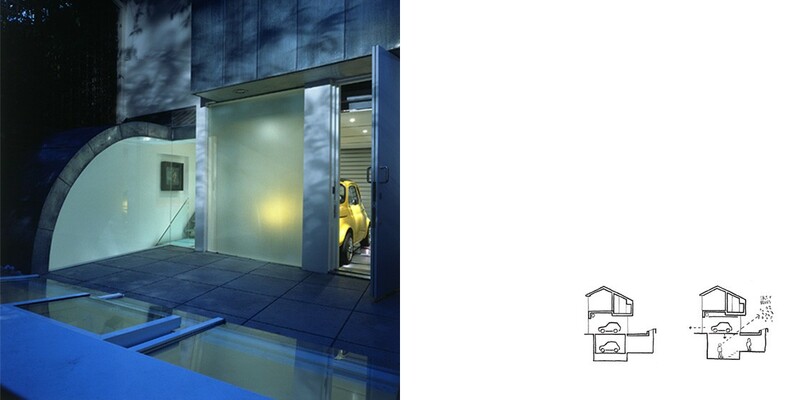 A new build house situated on a tiny plot of land, (5m x 8m), in Knightsbridge, London. The brief required flexible accommodation to be provided for either living or car parking. Space may be activated or transformed according to the position of a double-deck. 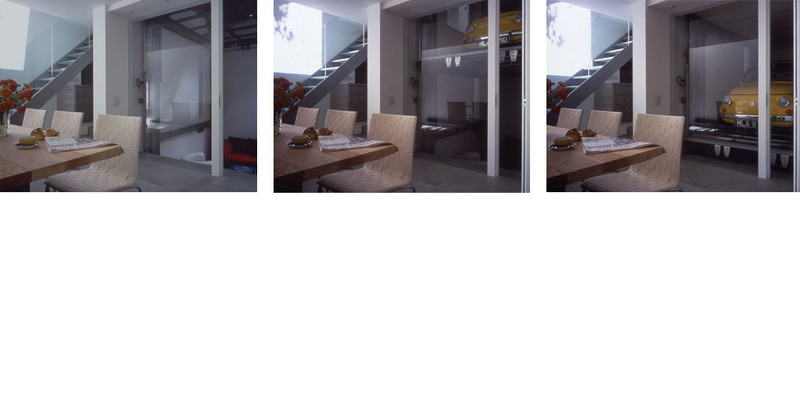 The lower deck is clad in acrylic panels that brings natural daylight into the depth of the house and activates the lift base as living accommodation.